(Atlantic Japan) 12 Tracks - Japan CD Neuauflage des original Stax Albums von 1966! 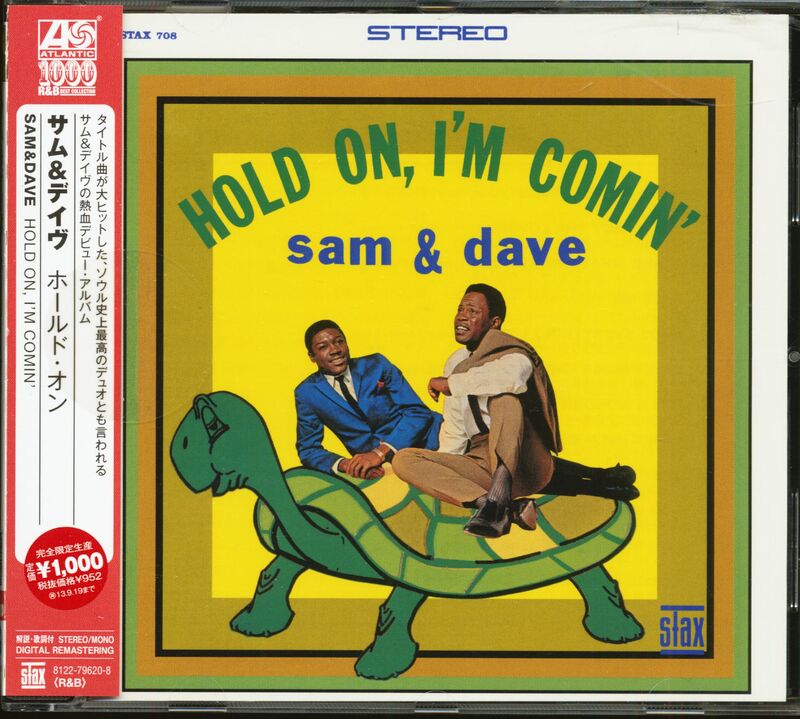 Hundreds of soul-singing duos modeled themselves after Sam & Dave. 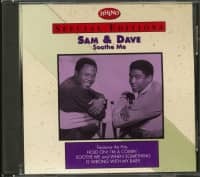 But Sam Moore and Dave Prater had one crucial element in their hitmaking arsenal that set them apart: the songwriting and production team of Isaac Hayes and David Porter. Sam & Dave came by their melismatic tendencies naturally. Born in Miami on October 12, 1935, Sam Moore was a member of a local doo-wop outfit, The Majestics, that made a '56 single for Henry Stone's Marlin label, but he honed his lead singing with two local gospel quartets, The Gales and The Melionaires. Born May 9, 1937 in Ocilla, Georgia, Prater arrived in Miami to sing in his brother J.T. 's sanctified quartet, The Sensational Hummingbirds. Yet both eventually went a secular route. 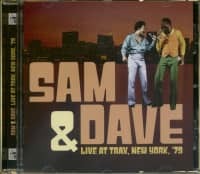 Sam found a job as a singer and amateur night emcee at a Miami nightspot, the King of Hearts, and Dave came in one night in late 1961 to compete. Prater wanted to sing Sam Cooke's Wonderful World, but the band didn't know it, so he settled on Jackie Wilson's Doggin' Around. But Prater didn't know the words, so Moore started singing it with him. When Sam nearly knocked the mic stand over, both young singers fell to their knees to grab it without missing a beat, electrifying the crowd. The club owner immediately offered them a gig if they'd team up. Sam & Dave were officially born. The duo cut their first pair of singles for Henry Stone's Marlin label, their young producer Steve Alaimo a popular Miami singer himself. Roulette Records owner Morris Levy picked up the 45s and the duo too. "We got with a recording company, and we were able to get a Sam & Dave sound together,” says Moore. A half-dozen 1962-63 Roulette singles later, they remained hitless. Their live act dazzled Atlantic Records boss Jerry Wexler, but instead of producing them in New York, he shipped them off to record in Memphis at Atlantic-distributed Stax. There they encountered Hayes and Porter, just getting their feet wet as a house writing and production team. "They had their songs going, but they didn't have an artist to do them,” says Sam. "So they joined us and made it a foursome.” The hits started flowing in 1966: You Don't Know Like I Know preceded Hold On, I'm Comin', an R&B chart-topper that made a #21 pop showing. Legend has it that the title line was the result of Porter responding to an impatient Hayes while in the Stax washroom. "It was originally 'I'm Coming,' which was kind of suggestive,” says Sam. "They had to turn it around to make it 'Hold On, I'm Comin'. '” The Sunday morning revival meeting vocals of Moore and Prater were driven hard by brisk horns and drummer Al Jackson, Jr.'s piledriving backbeat. 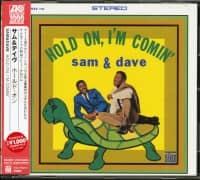 At last, Sam & Dave were on their way. 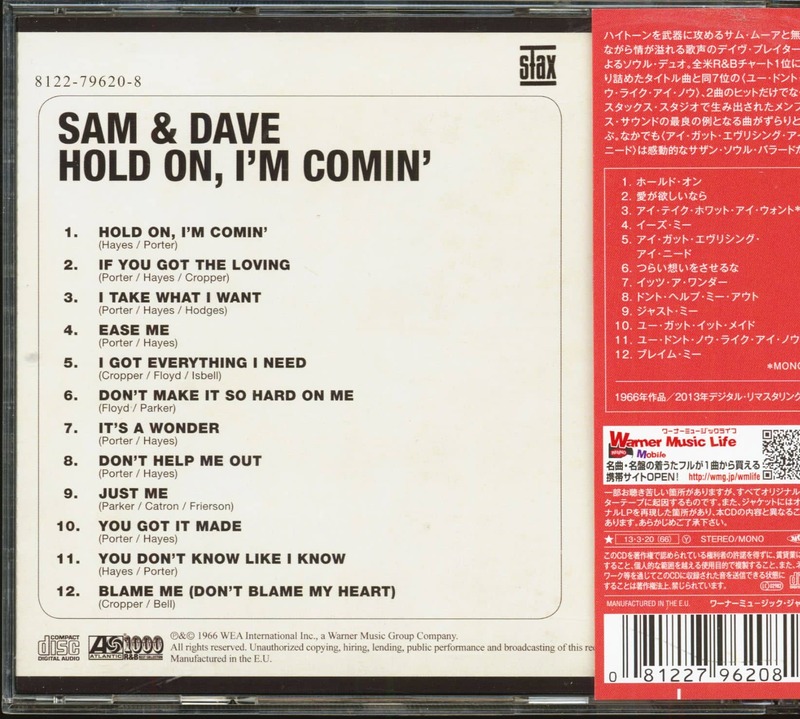 Kundenbewertungen für "Hold On, I'm Comin' (CD, Japan)"